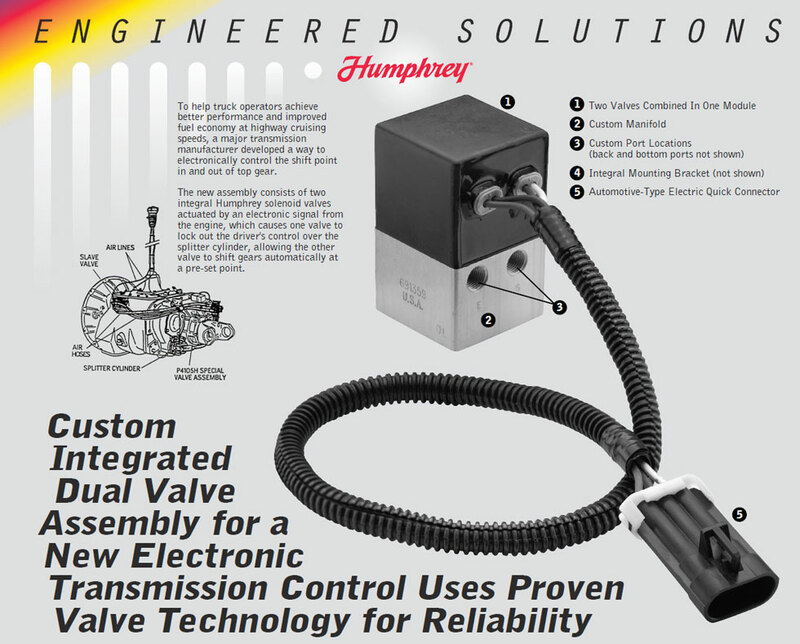 Working on an engineer to engineer basis with the customer, the Engineered Solutions team chose Humphrey poppet type solenoid valves for their proven reliable operation over a wide temperature range and high tolerance of any air system contamination. The valves were modified to meet specific design requirements, including changing the solenoid performance to match the electronic specifications of the engine. Custom electrical connectors and mounting hole locations were provided to simplify installation on the exterior of the transmission.